Event promos for the Women's March on Pittsburgh and Our Feminism Must Be Intersectional. The Women’s March on Pittsburgh is billed today as an opportunity to march "in solidarity with communities most affected by the hate, intolerance and acts of violence being perpetuated throughout the nation," including women, immigrants, people of color, people with disabilities and those who identify as LGBTQIA+, but it started in strife. The march suffered from the same controversies surrounding early incarnations of the Women's March on Washington, chiefly lack of inclusivity and diversity among its leadership. Long-time social organizer Tracy Baton helped take over Pittsburgh's sister march late last week. Over the weekend, she and fellow leaders re-billed it with a new social media page and fresh command staff. Baton said big events like this – the new Steel City version has more than 1,500 RSVP'd and another 2,500 "interested" – can take a long time to get together. Planning in Pittsburgh began just a few weeks ago with one Facebook event page and a small committee helmed by a woman with little organizing experience, Baton said. Women of color who didn’t feel like it was an intentionally inclusive event asked if it was an event for only white feminists. Some white women expressed the idea that everyone needs to come together as women to protest. Comments were deleted. People were blocked. A few personal threats were made. Baton said agenda disputes are a natural part of the organizing process, but it’s different when that conversation starts online. With time, people often forget complicated backstories, said Jessie Ramey director of The Women’s Institute at Chatham University. “We know from the history of social movements here in Pittsburgh and around the country they are very messy. And we tend to remember social movements in an overly simplified manner,” Ramey said. It’s true that solidarity is important for building a movement, she said, but the idea of blanket solidarity is, in some ways, a fiction. Although women of color did technically win the right to vote in 1920, for all practical purposes, Jim Crow laws prevented many from voting until the 1960s. Redistricting and voter I.D. laws continue to be seen as barriers to voting for people of color. To talk about feminism, Ramey said you have to talk about race. Intersectionality recognizes the individual and his or her multiple, intersecting identities. One person can identify as a woman and a woman of color and a queer woman of color, with each role informing and bleeding into the others. Ramey said it’s important to not just include but center women of color in order to tackle the most extreme forms of oppression. A handful of new organizers decided to do just that. “Our event was formed out of what we identified as the need for our whole community, really, for some kind of event that not only welcomes people of varying intersections verbally, but takes actions to make space for people from those various intersections,” Del Mar said. When conflicts erupted in the planning process for the Women’s March on Pittsburgh, Del Mar and fellow women of color began planning a separate rally in East Liberty dubbed Our Feminism Must Be Intersectional, which centers black women, femmes, trans women and gender non-conforming individuals. Del Mar said it’s not a protest so much as a celebration of existence. A moment to make themselves visible, she said. About 1,800 people had RSVP'd at publication. A promotion for the 19th annual Summit Against Racism at the Pittsburgh Theological Seminary. The 19th Annual Summit Against Racism is an all-day conference Saturday promising discussion about the current state of race relations in the U.S., including instructional workshops about how the past can inform deeper understanding, healing and future social action. Organizers from both the "Sister March" and "Intersectional" events said a coalition could have been made, but ultimately, there wasn’t enough time. 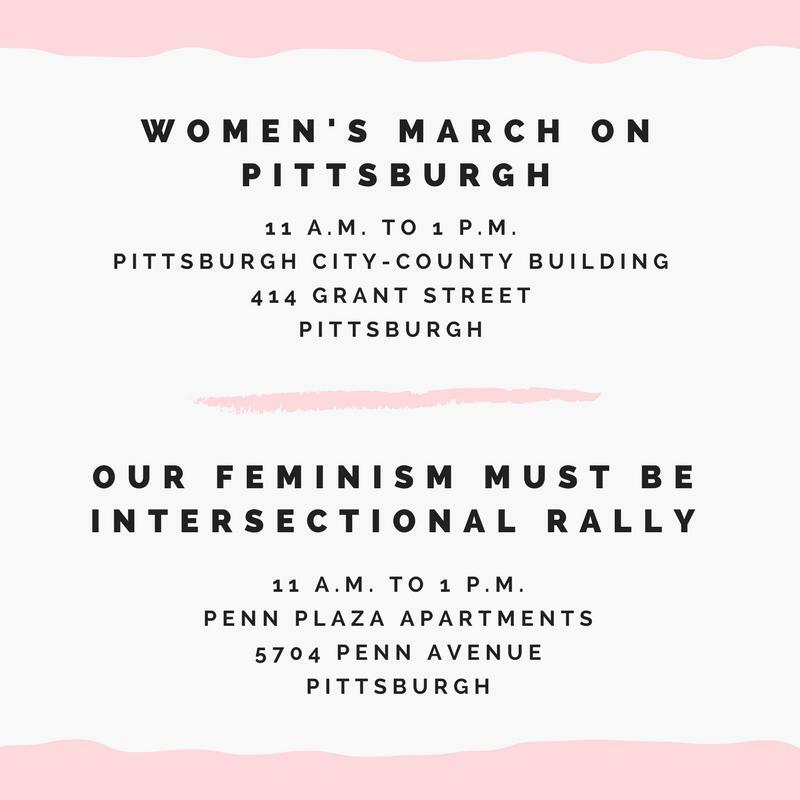 Our Feminism Must Be Intersectional will occur at the same time as the Women's March on Pittsburgh. Intersectional organizer Alona Williams regrets that the first-time activists who started the Women's March on Pittsburgh neglected something so pivotal. And when new people did find themselves in that activism space, 'Intersectional' organizer Tresa Murphy-Green said they didn’t know how to improve inclusiveness. That’s why a key part of organizing the intersectionality event was to bring on white allies, or accomplices, like Samey Jay. She's agreed to help out by “bringing other white women (and) sharing resources and information about intersectionality and white privilege,” said Jay. “White women should take on the burden of educating other white women and other white people,” she said. Parts of Pittsburgh exist as segregated communities, so it’s easy for white people not to interact with large groups of people of color, Jay said. She saw the effects of that in online interactions, when questions were raised about who was organizing the Women’s March. Jay is a proponent of social media as an organizing tool, but said critical conversations needs to continue offline. Summit Against Racism organizer, educator and diversity consultant Anupama Jain said it’s not easy to jump into those difficult discussions, especially online where intentionality can be left open to interpretation. 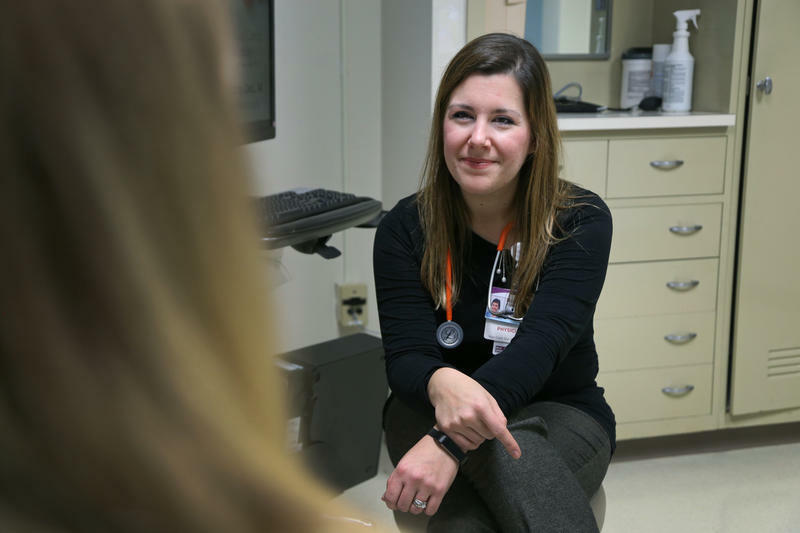 “I’ve been doing this for a long time, and I feel like I make mistakes all the time,” she said. Although the summit is happening the same day as the marches, it’s a great place for people new to the activist community to start. Baton said there’s no need to fight about unity – that after the dust of the Facebook drama has settled, people will bring their own issues to these events and be heard. Although it is no longer recognized as an official Sisters March by national organizers, Baton said everyone is welcome at The Women’s March, Saturday starting at the City-County Building at 11 a.m.. The intersectional rally and march is Saturday starting at Penn Plaza at 11. *Updated: Jan. 19, 4:20 p.m. to clarify the Voting Rights Act's impact on women of color. What the heck is reconciliation? For starters, it's the latest way Congressional Republicans are hoping to get rid of Obamacare. We'll look at how it's used and whether it's a winning tactic. 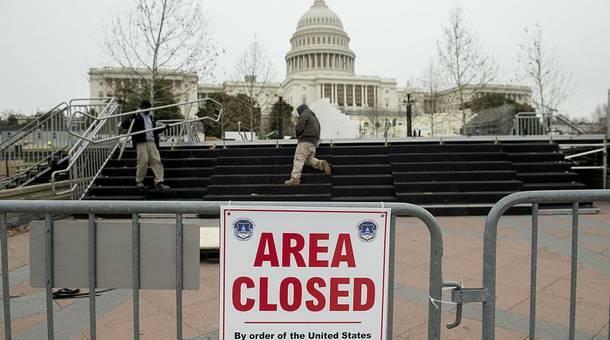 Then: hundreds of thousands are people are due in Washington, D.C. for next week's inauguration, and all the protests and parties that come with it. Local businesses and merch-sellers are preparing for a crush of business, and opening themselves up to criticism in the process. Then: the civil rights divide in charter schools and how to make your desk lunch less sad. 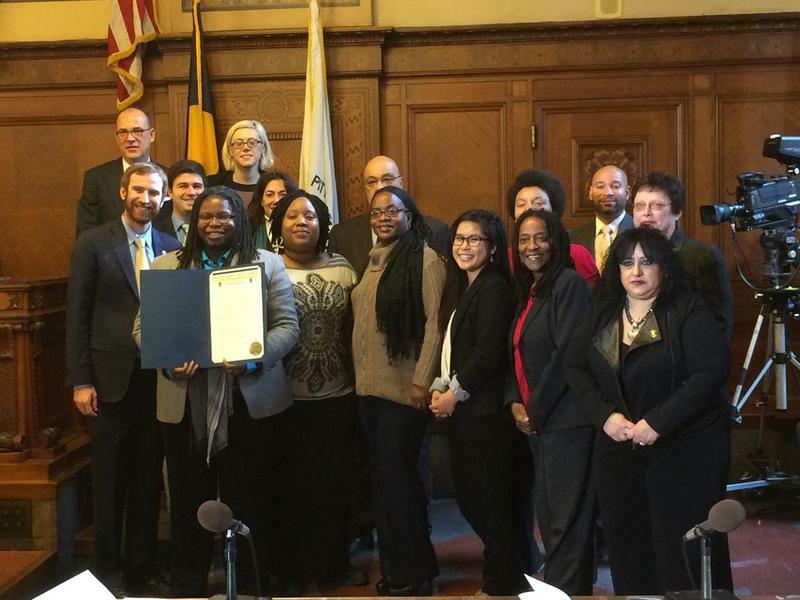 This week, New Voices Pittsburgh Women of Color for Reproductive Justice celebrates 10 years as a human rights organization in the Pittsburgh region. Initially the grassroots group had some trouble defining themselves and their mission. How do you advocate for reproductive justice when most people don’t understand what that term means? But as they’ve partnering with organizations such as the Women’s Law Project, and brought attention to the treatment of incarcerated women in the state prison system, NVP has carved out a more defined mission and area for growth. We’ll talk with LaTasha Mayes, Founder and Executive Director of New Voices Pittsburgh, about what reproductive justice means for whole communities and how grassroots organizing is evolving. New Voices Pittsburgh Women of Color for Reproductive Justice will be celebrating their 10 year anniversary at the Andy Warhol Museum on Thursday December 4, 2014 click here for more information.